Milk Thistle: I gave Ty Milk Thistle while he was on chemo. Ty’s oncologist recommended it to help support liver function. There has been a fair amount of research into its ability to do so. Now that Ty is done with chemo, I removed the Milk Thistle, plus he now takes Apocaps which include it. 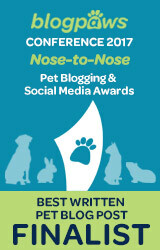 Fish Oil: There have been multiple veterinary studies on the effect of fish oil in dogs with lymphoma. It seems to be pretty well accepted that adding a fairly high does of fish oil to the diet can increase remission time. A couple of notes though: Higher doses of fish oil can thin the blood, so you want to be aware of that if your dog is injured or needs surgery. Also, the point of fish oil is to increase omega 3 fatty acids while decreasing omega 6. Some formulations include more of omega 6 than is desired in a dog with cancer. After quite a bit of research, I ended up with Grizzly Salmon Oil (referral link), which had the right makeup of a 10:1 ratio of omega 3 to omega 6. Green Lipped Mussel: This is a natural antiinflammatory that works similar to fish oil by increasing omega 3 in the diet in a bit different way than fish oil. Ty has always used it for his chronic bursitis and has remained on it through much of his cancer treatment, although it was left out during some of his chemo when he was being picky eating. I do not give it to him because of his cancer. I give it because fish oil does not seem to help his bursitis, while this product does. There is one published study on the benefits of green lipped mussel on arthritis. I use super snouts powder (referral link) sprinkled on his food. Curcumin: There are studies that show that curcumin (a component of turmeric) can help suppress or perhaps prevent cancer. The problem though is that curcumin has low bio-availability, so ridiculously high doses would be needed. 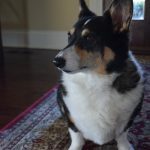 Ty’s first oncologist said that she felt it was of little use simply because it was too hard to get enough of it in the dog without causing stomach upset. So, why am I giving it? Mercola Healthy Pets just recently came out with a formula that they claim has higher bio-availability. Whether it really does have this is hard to say. One thing that annoys me with their product page is the lack of links to show how it does this. Instead it simply refers to technology called microactive. I did manage to run that down to this link, which lists a single study that I could not access. So, I do take the claims with a grain of salt. 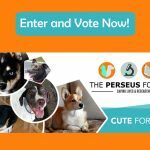 At the same time, with my vet, curcumin falls under the category of “it can’t hurt to try” and if it really does have the bio-availabilty claimed, it could be a key item in Ty’s care. It also isn’t horribly expensive, so I added it. 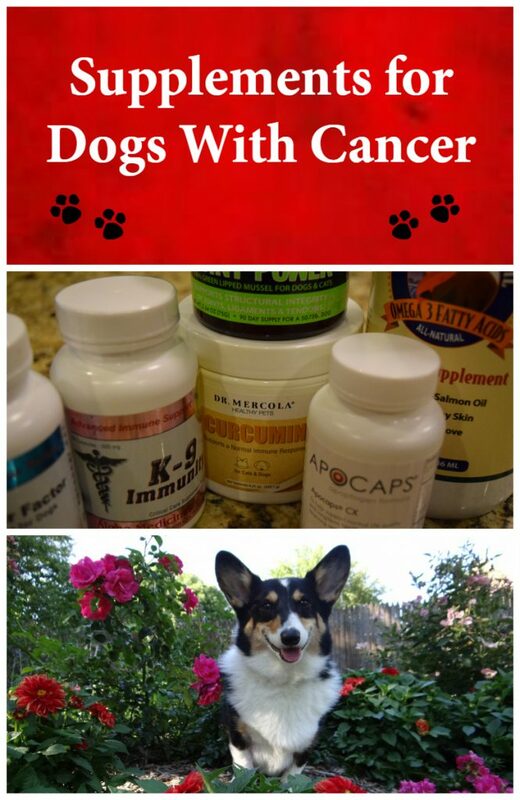 K-9 Immunity: K-9 Immunity (referral link) consists of medicinal mushrooms which have quite a bit of ancedotal evidence for helping with cancer treatment and prolonging remission times. 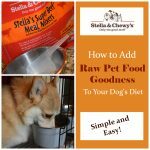 The site also lists references to studies, although, I think many are not specific to the K-9 immunity formula and instead are based on individual ingredients. (more info). One of the mushrooms in the compound has also been shown to markedly increase survival time in dogs with a different type of cancer than lymphoma (more info). Ty’s oncologist was of the opinion that it couldn’t hurt to give him the supplement. K9 Transfer Factor: Transfer Factor is a product from the people at K-9 Immunity to help increase the bio-availability of K-9 Immunity. 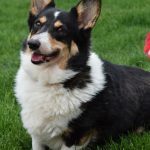 You can also buy K9 Immunity Plus (referral link), which contains the Transfer Factor, but since it includes maltodextrin, and potato starch, I prefer to give them separately to avoid giving Ty extra starch and sugar (as recommended by the Dog Cancer Survival Guide) . 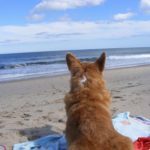 Apocaps: Apocaps (referral link) are a supplement designed by the vet behind the Dog Cancer Survival Guide. They contain some cross over of ingredients from K9 Immunity, Milk Thistle, and Curcumin, so I discontinued the Milk Thistle. Technically, I could probably leave these out and be happy since the key items I wanted are in the other supplements, but there are a few other ingredients that Apocaps add and Apocaps claims to have formulated things for higher bio-availability. While I have seen references to studies of Apocaps, I do not know how scientifically valid they were. The ancedotal evidence with the product is good and its ingredients are based on various studies. Ty’s first oncologist was of the opinion that there was not enough evidence that they helped much, but she did not mind patients using them. 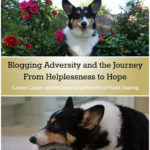 Ty’s current oncologist said it certainly couldn’t hurt to give them. Kale: OK, this isn’t a supplement, it is simply a very nutritious food with a reputation of helping fight cancer. It turns out that the dogs love it, so I give them chunks of Kale as treats when I happen to have some around. K9 Immunity and Apocaps claim to be safe and useful during chemotherapy. However, some vets have concerns about using supplements, especially ones with antioxidant properties, during chemo. Medicinal mushrooms in K9 immunity and beta glucans in Apopcaps can fall under this. Ty’s first oncologist was not in that camp and was fine with him taking them, but because I came across various conflicting advice on that I held off and did not give those items while Ty was on chemo. Instead, I stuck with Fish Oil, Milk Thistle, and sometimes his Green Lipped Mussel. I added K9 Immunity, Transfer Factor, and Apocaps three weeks after Ty’s last chemo session (to allow the full effective use time of the chemo to expire). I added the Curcumin even later because that is when it hit the market. Check with your oncologist about curcumin use during chemo.I have seen mixed views on that when researching. So, that is it. Ty is right now in approximately his seventh month of remission and third month of post-chemo remission. He is doing great. Do the supplements help? There is no way to say, but hopefully his current good health continues! 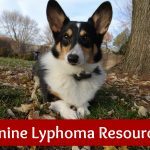 Be sure to read the rest of my series on canine lymphoma, which I am still adding to. Ty’s progress can also be followed on his facebook page, Puppy on a Roomba. I’ve been thinking of giving Mr. N Green Lipped Mussel as a joint preventative. I hope all the supplements help Ty! Does he not mind the taste? I have to hide supplements in Mr. N’s food. Ty (and Eve) both love the taste of the mussel powder. It is very fishy. I think it stinks to high heaven (smells like dead shellfish) which is probably why they love it so much, lol! Excellent information. Thank you! And here’s to continued good health for Ty! We definitely have used tumeric during cancer, along with excellent nutrition, raw honey, cider vinegar, milk thistle, plus some other goodies! This is a great post! It’s so important to try alternative methods as your body may be motivated to heal! Such a comprehensive review – I’ve read lots of good things about green-lipped mussel in particular. Hope Ty continues to thrive. I am so glad to hear that Ty has been in remission for 7 months! That is huge. Like you, I love to use holistic remedies/supplements with my cats, but only when I can find reliable evidence that the particular supplement I want to use works for the condition I’m treating. Having a veterinarian check over everything is always a smart idea. I will keep praying that Ty’s cancer never returns! Thank you so much for sharing you personal experience and research with us. I will happily share it too! Wow — so awesome that Ty is in remission! It most definitely has something to do with the amazing care he receives at home, in addition to having such knowledgeable vets. Thank you for sharing this research – it is very informative and will serve as a great guide to anyone else going through this. I think I would try everything possible but I’d want to use a holistic regiment first. Such a scary diagnosis. What great info and research, I think we’d first try the holistic approach first. So happy to hear that Ty is in remission! Supplements can definitely aid in the treatment of illness in pets. 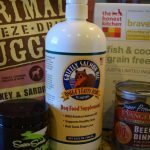 I’m glad you’ve found these supplements to be helpful for your dog, and I hope that other dogs benefit from them as well. How nice to see that Ty is in remission. It’s obvious you’re doing everything you can for him. So glad Ty is doing well and in remission. 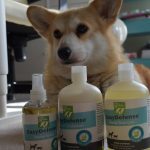 I am very interested in supplements for humans and dogs. All those are ones I have heard recommended, especially Tumeric and Green Lipped Mussels for dogs. I’m so glad Ty is in remission & doing well! Thanks for sharing your holistic routine with us, there’s a lot of helpful info here. It’s so intetesting that Ty likes kale & that is so healthy for dogs! I don’t know much about supplements, but I know some people who say they’ve made all the difference in their health and well-being. I’m glad that Ty is doing well and happy to learn a little more about supplements. I’m so glad Ty is in remission, I wouldn’t doubt for a second that nutritious foods were a big help to help, and made him feel better and more loved while he was in treatment, and even now. 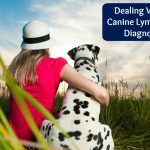 I’ll check out some of these for my dogs – they’re healthy, and I hope they’ll stay that way for a very long time! How is Ty now, a year later? Wonderful. 😀 Well done on providing him with such great care and thanks for sharing your tips.